A challenging project in many aspects but when finished a redundant derelict site will provide six modern state of the art high end flats. BPG became involved with the Vanston Place project very early on – appointment by Southern Housing Group . Some of the constraints and difficulties associated with this project include being bound tight on three sides by separate properties, one of which was a trading ‘Gastro Pub’ with a freeholder and two leasehold interests. 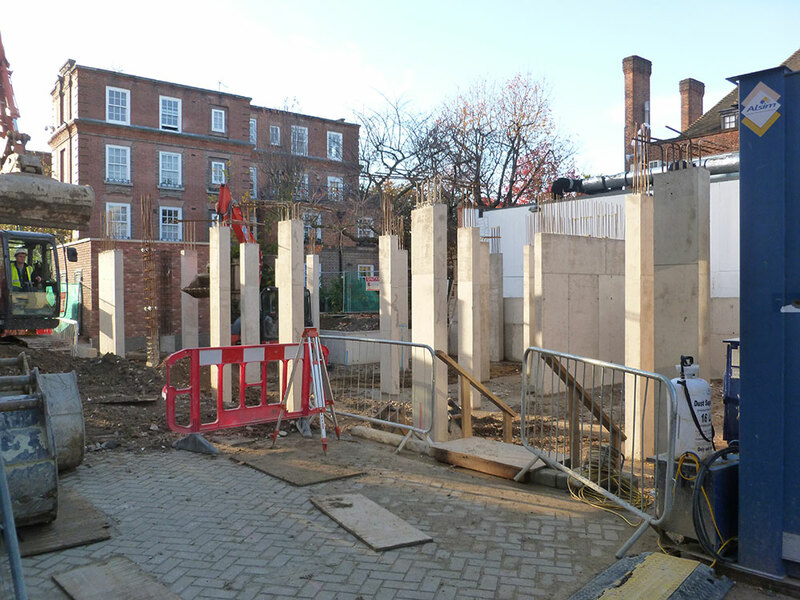 The main technical detail to address was the removal and relocation – still on the development site – of a fully functioning electrical substation. So these matters together with building on the full footprint of the site located within an existing 1930’s housing estate criss-crossed with every single underground service made for a complex design development phase. We organised and administered a separate demolition contract to clear the site of the redundant buildings to allow the detailed design work to progress with a little more certainty and allow all the normal site investigation and tests associated with such inner city developments. We advised on the procurement method and convinced SHG to tender the project using a traditional tender package which came with the need to satisfy many of the 35 Planning Conditions that had come with the approval. The works are currently on site and completion is due in September 2019. Problems have been encountered with previously unknown underground services, final design details to satisfy NHBC requirements and final Party Wall negotiations all of which had to fall into a linear pattern to allow certain aspects of the works to progress. Given the size of the site, programming and logistics are key as every aspect of the build has to proceed to a very specific and fixed sequence as there simply is nowhere else to go and get ahead.